Click here to view the individual Principals. McNamara • Salvia is a well-established and nationally recognized structural engineering firm established over 30 years ago that brings award-winning creativity, innovation, and experience in structural design to a wide variety of project types. Our experience spans the nation reaching from all areas of New York and New England to the high-seismic regions of Las Vegas and California to the hurricane climate of South Florida. We have expertise in all types of building structures including medical, educational, stadiums, automated parking, research, retail, corporate headquarters, long-span, and residential/office high-rise towers. The McNamara • Salvia team is comprised of over 135 staff members. We are licensed to practice engineering in over 40 states. Our Production Department stays current using the latest versions of drafting software, and we are fully capable of delivering our projects using the latest Building Information Modeling technology. While they have turned over the day to day rigors of running the office, Mr. McNamara and Mr. Salvia remain very active in the firm. Bob McNamara serves as a senior technical advisor and is involved with the firm’s complex structures and high-rise work. Joe Salvia heads business development for the firm and works with the Managing Principals to develop innovative structural solutions for all of the firm’s projects. 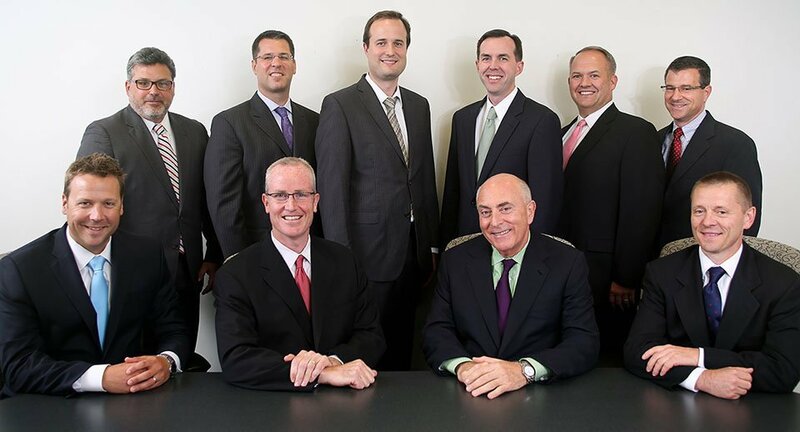 The Boston office is directed by Principals Mark Aho, Neil Atkinson, Adam McCarthy, John Matuszewski, and Benjamin Wild. Collectively they have over 70 years of experience with the firm. Our Southeast Operations consisting of Miami, West Palm Beach and Orlando is directed by Principal Andrew Sullivan. With 25 years’ experience, Mr. Sullivan has resided in the Tampa, Orlando and Miami markets during his career and has been the Principal-in-Charge on projects all over the State of Florida. In addition, Mr. Sullivan opened and operated an office in Las Vegas, Nevada and managed project teams on hospitality and entertainment projects in the billions of dollars. The New York office is directed by Principals Ryan Dow, Vladimir Seijas and Bart Sullivan. Mr. Dow spent the first five years of his career with McNamara • Salvia in the Boston office. He has rejoined the firm after eight years with a major international structural engineering firm in New York where he served as Senior Vice President. Mr. Seijas, another Senior Vice President with the same New York firm, has over 20 years of experience working in New York. He has also managed numerous projects in Miami at his prior firm. Mr. Sullivan, also a Senior Vice President at the same New York firm, has over 20 years of experience primarily in New York. In addition to his work in New York, he opened and directed the Dubai office for two years at his previous firm and has extensive experience managing major projects in Mexico City.